Welcome to Garage Doctors Team,the Local Leaders in the Garage Doors Industry. 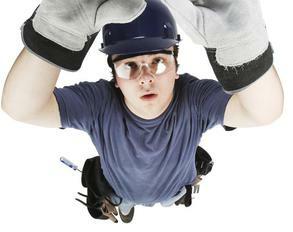 Searching to troubleshoot your garage door problem? spring broken? Can't open-raise your garage door? Wondering How to fix a garage door? Looking for a garage door repair business near Colleyville ,TX and surrounding area? ​For an immediate response, Contact Colleyville "Garage Doctors Team" at 817-484-0136 we have a 7 days available customer Representative, that can assist you on the phone and set up an appointment . One of the reasons Why you should choose the "Garage Doctors Team" professionals is, that our company's Mission is to deliver same day speedy repair and installation for your garage door problem(s). It's the same concept that patient expects from their doctor for an immediate solution for their health issues. Customers and their Garage Door problems is the Number #1 Priority for us. We take each and every garage repair request seriously. Your garage door Problem is automatically considered as an Emergency Service. We are a Locally Based Garage Repair Rescue Team. Once you Contact Us for any reason such as: broken spring replacement,garage door off track repair,rollers,cables or just regular Maintenance-Tune Up,we have enough high trained technicians on duty,that can be on the way to you within 30-45 minutes,to assist with any and all your garage door fixing needs. You always have the option to make an appointment when is convenient for you. We want you to know,that you can always rely on the "Garage Doctors Team" experts in case of Emergency repair,new garage door installation, and replacements or non emergency. Call 817-484-0136 and Keep our number handy! Supporting Local Businesses means to Invest in our Local Colleyville infrastructure and be a part of our growing Town. To beat any non local garage repair company prices and fit every Budget. "Garage Doctors Team"doesn't hire subcontractors or garage repair contractor's.The repair person in your Location will be our own employee with years of Experience. All Employees are certified and fully equipped with high technology tools, to be able to provide the most proper and professional garage door repair. Authorized Dealer for entire Garage Door Brand names such as: Genie,Chamberlain,LiftMaster,Wayne Dalton,Amarr,Clopay,Windsor,Raynor and many others. Available repair services after hours,holidays, and weekends. "Garage Doctors Team" are Bonded and Insured. Covering Entire area of city of Colleyville,TX and near cities such as Southlake,Keller,Trophy Club and Grapevine. Check the list of the Service Area Location's. For the Best and most Efficient garage repair service call 817-484-0136.We offer just the right garage repair solutions for any house or business in our area. Still looking for more information about garage door repair services in Colleyville,TX? click here to read more.